Vintage Gwen: Having Trouble Commenting on Blogs? 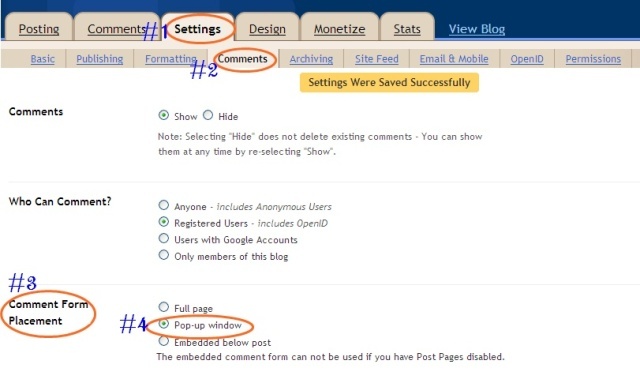 Having Trouble Commenting on Blogs? Correction since posting: This is only for your readers! So if your comments have been low then make this change. I apologize if I made it seem like if you did this you could comment on any blog! Like me? It's been frustrating!! I did a little reading and here's a simple solution! I did it to mine and I was able to comment on my own post! So I apologize if my comments haven't been many lately! Yea!!!!! I am new to blogging and was about to give up. Yay! I'm so glad you found this helpful! Soiree Day-Whales and Sails 1st Birthday! Soiree Day-Happy 40th Anniversary Mom & Dad!